We met Sally Parker when we decided to move to Cyrpus 3 years ago. She helped us buy our first house and couldn’t have been more helpful in the process. I don’t know what we would have done without her. She made the whole process so easy. I would recommend her and Blue Surf property to any new purchasers in the future. 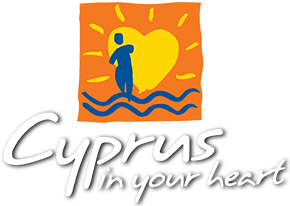 We went to Cyprus on holiday in May this year. We absolutely fell in love with with the area and decided to have a look at some properties while we were there. We called Trish, as she was one of the estate agents in the area. Trish was there with not much notice, as we only had a few days left of our stay. After a brief telephone conversation of our requirements and budget, she came well prepared with plenty of properties to show us and was absolutely amazing. We set off on search of the perfect property and she was there with us through the whole process. We found the perfect property for us and Trish was with us every step of the way. She sat through the negotiations with us which was great. She took us through every process step by step and helped us with everything we required when buying a property abroad, which we thought was going to be a painful process but Trish made it so easy. She referred us to a bank manager as well as a solicitor and was extremely helpful. Trish is an amazing estate agent and we will certainly call on her again for our next property purchase. I highly recommend Blue Surf Property. I first met Trish in 2005 when she helped me find my first property. Since then she has guided me through purchase and sale of two three properties. From my very first contact with her, she has been friendly, knowledgeable and extremely efficient, keeping me informed throughout my purchases and sales. The advice I have received has been very welcome and spot on over the last 13 years. I will certainly be recommending her to anyone I know who is looking to buy or sell their property. Andri Fella from Blue Surf Property is a person that has the most important qualities. She really understands your requirements. She is very patient and identifies quality properties that meet your criteria. What also impressed me is her focus, perseverance and pro-activeness to ensure the purchase process stays on track and she is very capable of solving any issue that may arise, through her very strong common sense and experience. I would not hesitate in recommending Andri to anyone, she will "hold your hand" from the beginning to the end and even after the purchase, she has been always available to help with any query that I had. I can truly say that it is very difficult to find people that you can trust and who are genuine in their service as Andri. Thank you for all your help Andri. I have bought my first property with sally from Blue Surf Property. Sally has a friendly approach but very professional at the same time. She has a vast knowledge of Cyprus and the local villages and coastal resorts and gave me a lot of useful information on how things work on the island. We discussed the buying process and i felt very at ease and the process went really smooth. I look forward to spending time in my new property and would happily use Blue surf property for any future sales. Would recommend Blue Surf Property and their team at any time. I came to Ayia Napa in May 2015 and had informed four different estate agents that I was interested in buying property. Trish from Blue Surf was the only one who contacted me when I arrived, and she spent the next two days showing me properties in the area and I found my perfect home. Everything was completed by August and we moved here permanently in May 2016. The whole team are incredibly friendly and welcoming every time you go to the office and can’t do enough for you. 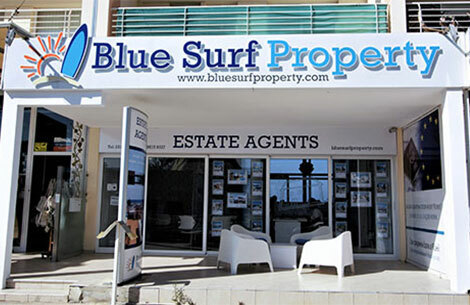 For a friendly, fast and easy process this is why I recommend Blue Surf property to anyone thinking about buying in Cyprus.